Zippo is a popular brand that needs no introduction. In addition to their famous iconic windproof lighter, Zippo also have a range of practical, classically-designed accessories that feature the unmatched quality of its lighter range. 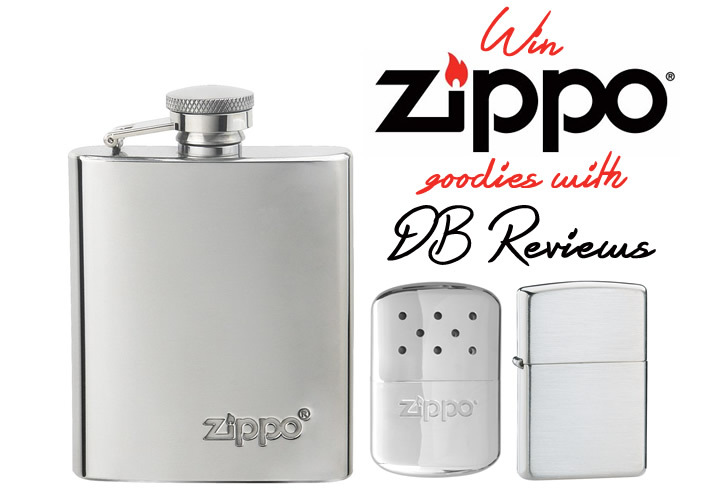 Zippo are working with DB Reviews to give one of its lucky readers a chance to win an amazing bundle of products (as featured below). - The windproof lighter (£18.46) - available in an array of colours and graphic designs and comes with a lifetime guarantee. - Zippo hand warmers (£23.95) - the perfect accessory for anyone bravely tackling the outdoors in the cold weather and come in a range of colours to suit almost anyone. - Hip Flask (£16.75) - the perfect container for your favourite warming spirit. Entry is via the Gleam widget below. All the best! After reading about the Macdonald Bear Hotel, I'm sold. It is definitely somewhere that I would stay. Looks stunning.